The chair of the Jurassica board of trustees, Tracey Brown, today announced the unanimous decision to press forward with the Jurassica project, following the sudden death of its visionary founder, Michael Hanlon, four weeks ago. 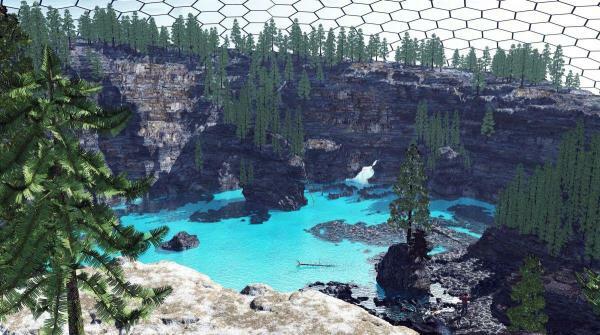 Jurassica is an ambitious project to bring to life a past that has vanished. The lost world – the environment, the tropical and sub-tropical seas, creatures that are no longer alive – will be recreated in a former quarry on Portland, on the Jurassic Coast. Its world-class fossil collections will be conserved and displayed there, and will be studied to push forward understanding of our deep past. In confirming that the project will progress, Tracey Brown said: “The board is going to move forward to secure planning permission, which we aim to achieve in 2017. That will take Jurassica to the next phase. Sir David Attenborough, Patron of Jurassica, said “Michael Hanlon had a thrilling vision for Jurassica – ways of using new computer imaging and techniques to bring to life the ancient sea monsters whose bones are still being discovered on this pat of the English Coast. It will transform our vision of the prehistoric world. It must happen”.